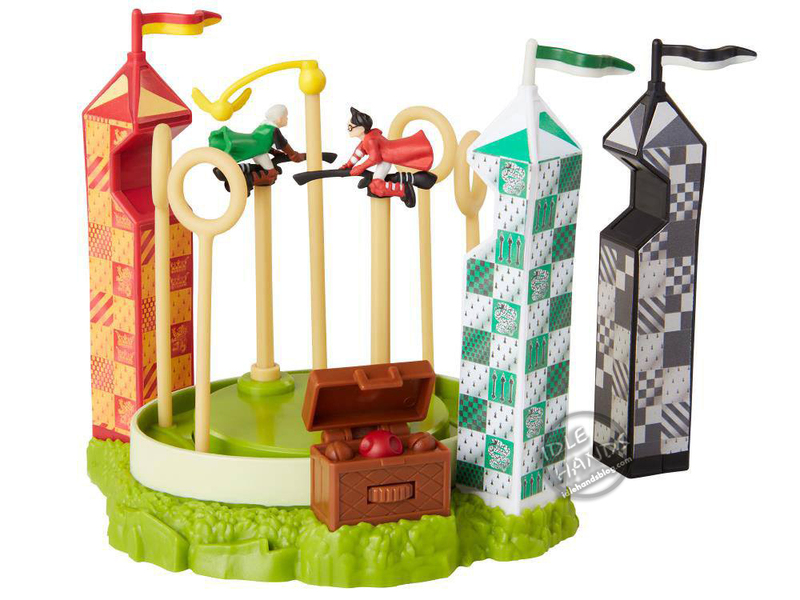 JAKKS Pacific are one of those companies that doesn't get a lot of praise or water cooler talk, but are always innovating and surprising. 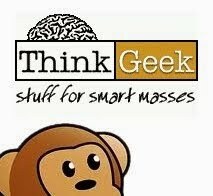 I'm never sure what new licenses they will have on show come February of every year. 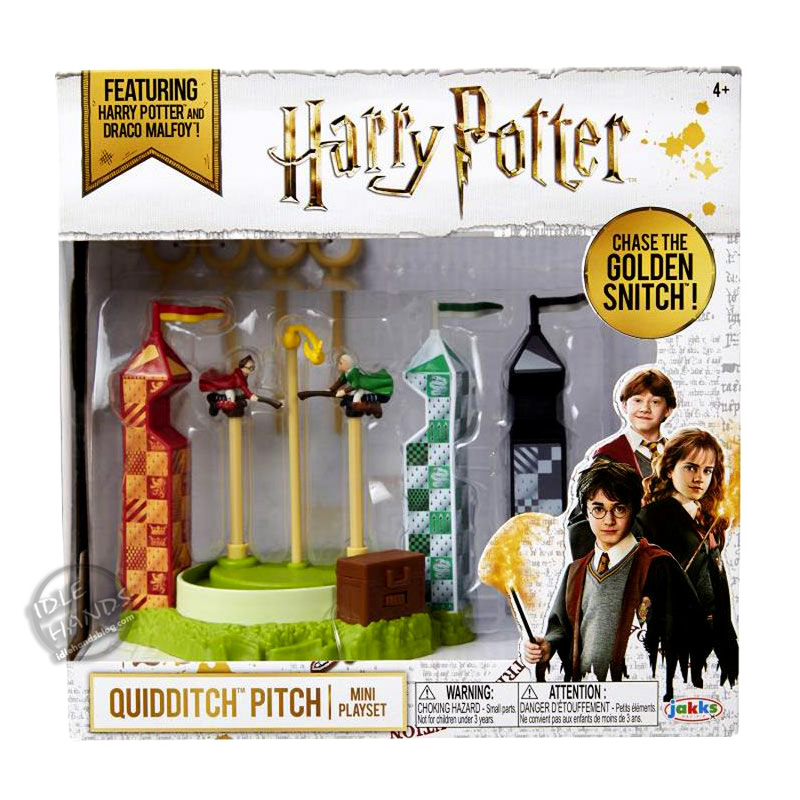 As the Wizarding Worlds of Harry Potter license stretched out across the global marketplace, JAKKS took a slice of that action with wands for training and blind box wands for collecting and even a game called " Niffler Challenge" straight from "Fantastic Beasts and Where to Find Them". 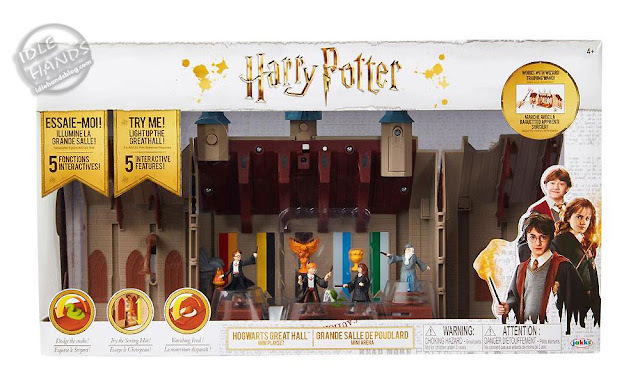 Now Jakks dives deeper into Harry Potter's world with mini figures and playsets! 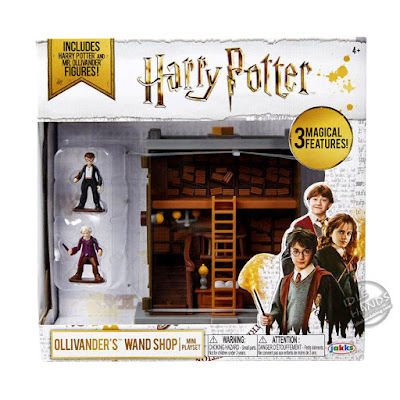 Continue the Harry Potter adventures with the mini playsets based on the film series. 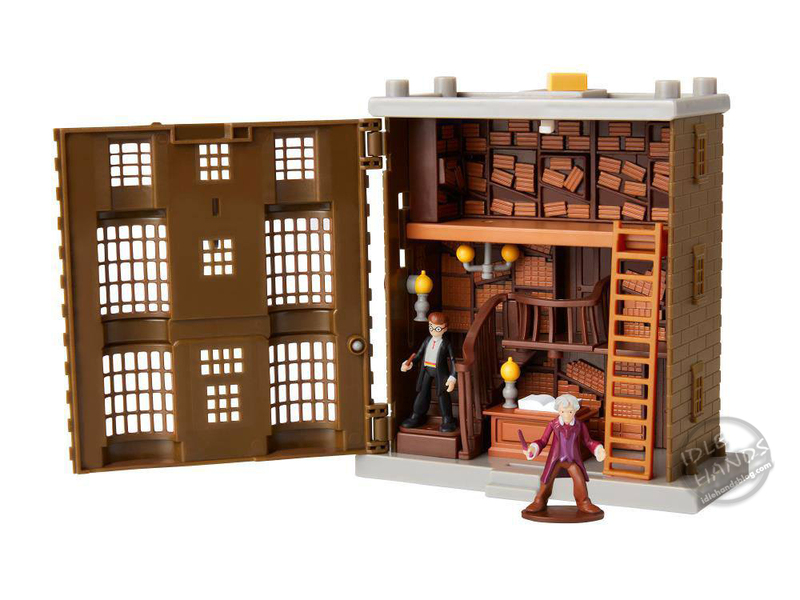 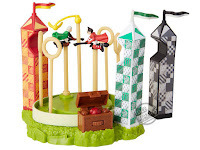 The playsets feature iconic Harry Potter locations and include mini figures. Wave 1 includes the Quidditch Arena and Ollivander's Wand Shop. 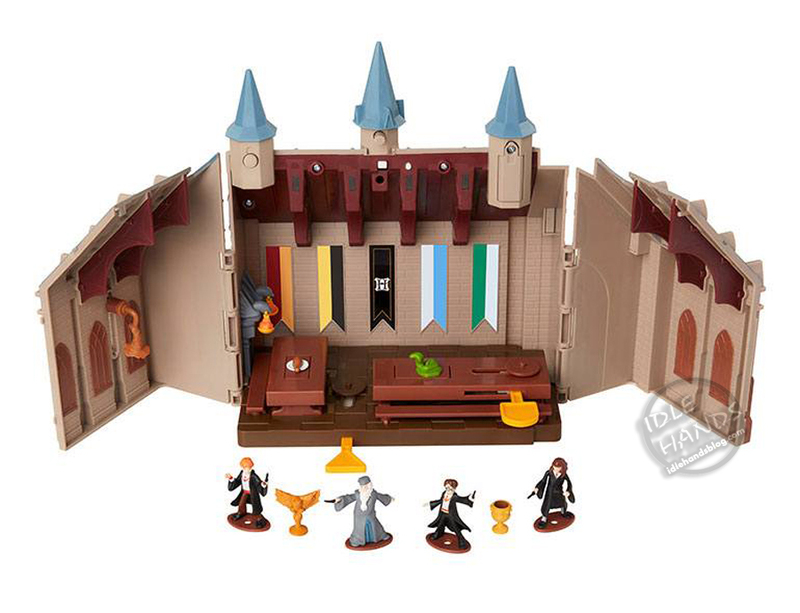 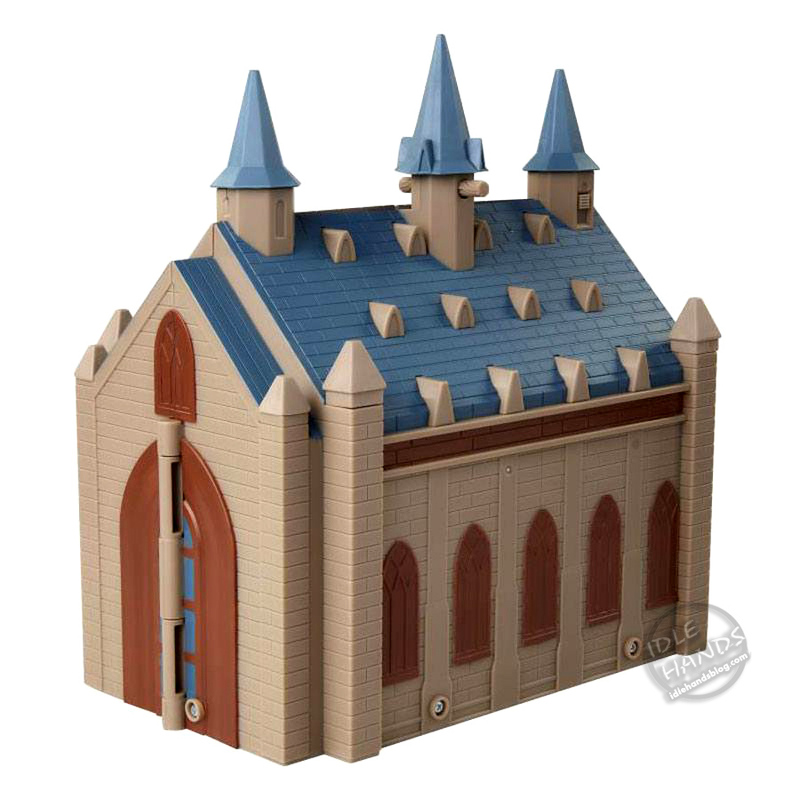 Continue the Harry Potter adventures with the Great Hall of Hogwarts deluxe playset. The Great Hall featuring opening and closing walls, light-up effects, and includes mini figures. Light up the great hall, dodge the snake, try the sorting hat and make food disappear. 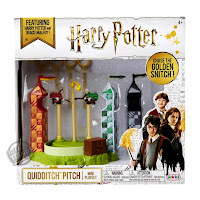 Interacts with Wizard Training Wands!